Build your business with our easy and friendly services in ODOO. Capital TRUST information technology (Pvt.) Ltd. (CTIT) is a subsidiary of capital TRUST holdings limited. Capital TRUST holdings limited is the holding company of capital TRUST group of companies and the investment holding company of the group. Capital TRUST Information Technology (Pvt.) Ltd.(CTIT) is an open-source Software Development Company which delivers innovative software solutions. CTIT provides enterprise software solutions, Odoo ERP, consulting and customized software development. We develop software for small, medium and large companies, and, with our vast hands-on experience, we are convinced that there is never a 'one-size-fits-all' solution. Getting to know your business is our business. We are quality focused and offer you a personalized service. We are happy to discuss strategies and methods with which we can take your business forward. Odoo CRM - System for managing a company's interactions with current and future customers. Odoo Inventory - Inventory is the heart of your business. It can be really complicated, but with Odoo; it is not. Odoo Sales - Closing opportunities with Odoo Sales is really simple. The interface is really smooth and can add references, some catchy phrases such as closing triggers. Odoo Purchase - The order can be created as is, but can also be the result of a Request for Quotation or of a Purchase Tender. Odoo Point of sales - It is based on a simple, user friendly interface. It is fully integrated with the Inventory and the Accounting applications. Odoo Expenses - tracks the expenses that your company allows via expenses types. Joomla , Wordpress and Dupral ,We want to enable our clients to create, publish, and have total control. What’s more, these are both free and open-source which means they will grow and expand as technology changes. Ecommerce platforms what we use : Magento ,shopify,Prestashop and open cart. Administration dashboard comes with order, product, customer and stock management all in a beautifully designed interface. Our analysts are great at number crunching. They will tease out insights that would help you figure out what’s working and what isn’t for your site. Custom Applications are developed using PHP ,Java and Microsoft frame work .Net . We ensure that your customers have access to your products and services across multiple platforms. We specialize in building apps for the iOS, Android & Windows Phone platforms. We also build any supporting services an app might need – RESTful APIs, content management systems, push notification infrastructure… you name it, we’ve probably built it. Once your project is launched your journey has just begun. We help you every step of the way by offering you monthly recurring services to help you establish your new or existing brand and make better informed decisions in your business. We provide the ultimate choice for your business hosting needs. Whether you need a dedicated server and secure environment or a flexible cloud solution which scales with changing demands. 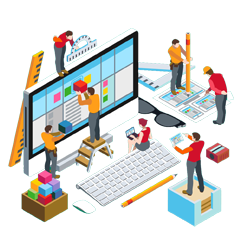 We have developed a team of web professionals and can handle nearly any type of web technology. Rest assured your site will be maintained and equipped to be accessed through multiple platforms. Now you can manage all your web content easily without any html or programming experience. Non-technical users can use this service to update the content on the web site. Capital TRUST Securities (Pvt) Ltd.
Capital TRUST Credit (Pvt) Ltd.
Capital TRUST Financial (Pvt) Ltd.
Capital TRUST Research (Pvt) Ltd.
Capital TRUST Wealth Management (Pvt) Ltd.
Capital TRUST Information Technologies (Pvt) Ltd.
Capital TRUST Residencies (Pvt) Ltd.
Capital TRUST Properties (Pvt) Ltd.
Capital TRUST Venture (Pvt) Ltd.
Capital TRUST Automobiles (Pvt) Ltd.
Capital TRUST Coporate Solutions (Pvt) Ltd.